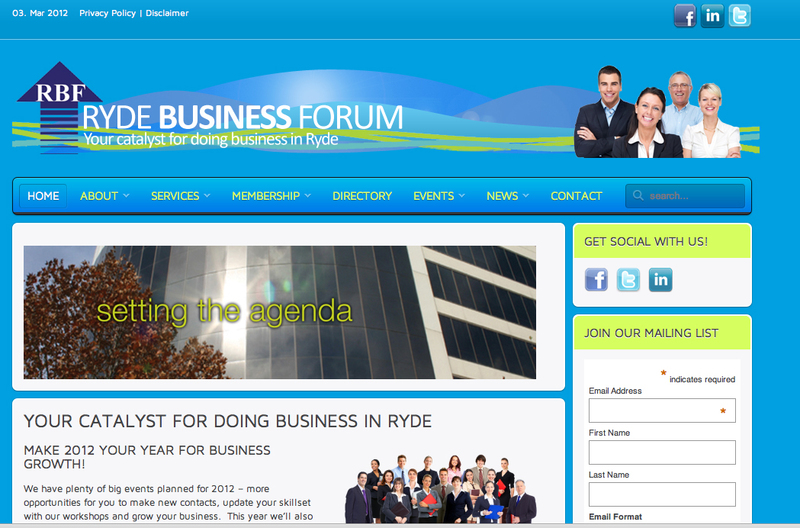 I've been building and maintaining the website for umbrella chamber of commerce Ryde Business Forum since January 2001, and today loaded up and gave the final tweak to the fifth website I've built for the organisation. It had been in the back of my mind to build a WordPress site for the Forum since last winter; the more I work with WordPress the more I like it both as a platform to build on and as an editor when the site is up. RBF now has an assistant, Marcella, who will be helping to edit the site, posting news and events, and she'll find it much simpler to work with than the previous Joomla! site. Not that there was anything particularly wrong with the Joomla! site, but getting an event up required three browser windows open at once - the RBF site with front end editor, PayPal, and the RBF site in admin editor mode. For me it was easy as I was used to it but for Marcella it was a pain and bit bewildering at first. An extra incentive for a new site was that RBF and the City of Ryde are working together to produce a free online business directory for all businesses registered in Ryde - it will be ready in the next couple of months, however I'm not building it. It was decided to use a non-member based outside Ryde. Don't ask. Now with the elegant Event Espresso plugin we have a one stop shop for our events and don't have to venture into creating PayPal button code; it's all done for us. For events which require payment, attendees will have to pay at the time of registration. This is a boon for RBF's bookkeeper who is forever chasing payments for events from people who register with a 'cheque's in the mail' story. The Connections plugin running the membership directory is also a doddle to use, and provides an eye-catching directory experience for the end user. Its search facility is fantastic and the categories neatly sort themselves into alphabetical order; something the Joomla! site just couldn't do despite me spending hours trying. Connections uploaded my existing membership data via .csv, which saved a LOT of time. Gravity Forms is one of the best form building software plugins on the web, and comes complete with Captcha to stop spammers in their tracks. The output you receive from these forms is excellent. And should you misplace the email the software sends you, a version of the completed form is kept on your website. Just lovely! I have been building the new site since January, using MAMP on my Mac to run WordPress on a localhost server. Once the bones of the site were up, and I had gathered existing info from the old site and added it to the new, I then ran the site in parallel, adding news feeds to both until I was ready to go live. Populating the membership directory held up production; I had to gather logos, social media addresses and company bios for 150+ members. I finally spent my evenings chugging through the directory listings and adding this info (which wasn't available to upload via .csv) as my working days were too full to do it. My final task was integrating Event Espresso, adding events and then doing all payment testing via the PayPal sandbox. Once I was satisfied it all worked and looked good cross-browser, it was time to grab hold of BackupBuddy and upload the site in its entirety. BackupBuddy's Importbuddy got 99% of the links correct; the only bits I had to fix were the home page slideshow images which were still using a localhost address, but I was thoroughly impressed with its performance. There was one rather odd glitch with Event Espresso however, which had me in fits of giggles as well as the depths of mortification. For some bizarre reason, when users started registering for an event this morning, their own name would come up to be confirmed along with one of the fake names I'd used on my testing server - Fred Nerk, Quincey J Erpnewt and a couple of others. It must have confused the first four people who registered before I could identify the problem and fix it. Luckily deactivating and then reactivating the plugin did the job. There is a lot of work in this site; stating the simple stages in a blog post doesn't give you the full picture of what goes on behind the scenes and the levels of testing to ensure it all works as it should, not to mention populating the site with pages and posts which go back several months for the sake of continuity. 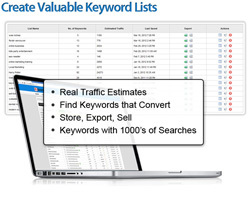 For a site of this size, functionality and complexity, I would charge you between $6,000 and $10,000. This is very much a customised site, one that the Forum Board is telling me it is very happy with. And so am I.